So…I was hoping that I could stay committed to this Doodle a Week gig, but it seems that ain’t happenin at the moment. No excuses here, but…well…a few. 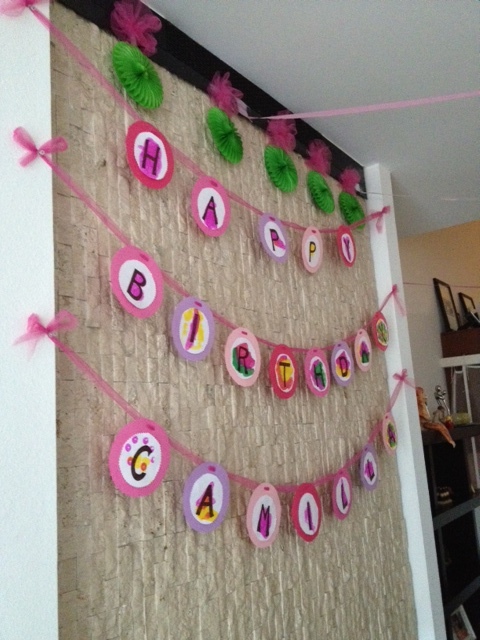 The Thanksgiving holidays came upon us with a bang and following the holiday is my daughter’s birthday and I stupidly decided to have it at home and craft most of the decorations! What was I thinking!? So I have been doing some crafty stuff, just not Doodle of the Week stuff. I’m new to this “throw a party at your house and craft your decorations” thang so of course I neglected to get ANY pictures of the finished product before it was mauled by a band of crazed 3 year olds, but I did manage to take a few pictures of the banner I made for over the fire place. I must give credit where credit is due, I got the inspiration from a wonderful design blog called Dandee Designs. 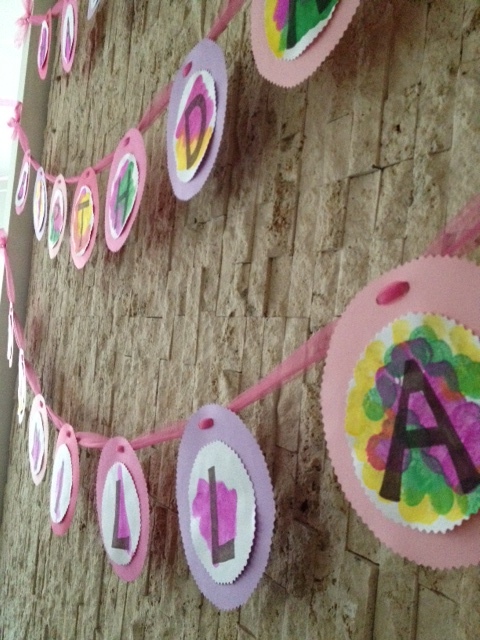 She’s amazing and crafts beautiful parties for her 5 children! Yes, I said 5! I can barely handle one and she Martha Stewart’s for 5! That’s fodder for another blog, but let’s just check out what I was able to capture of my creation shall we? 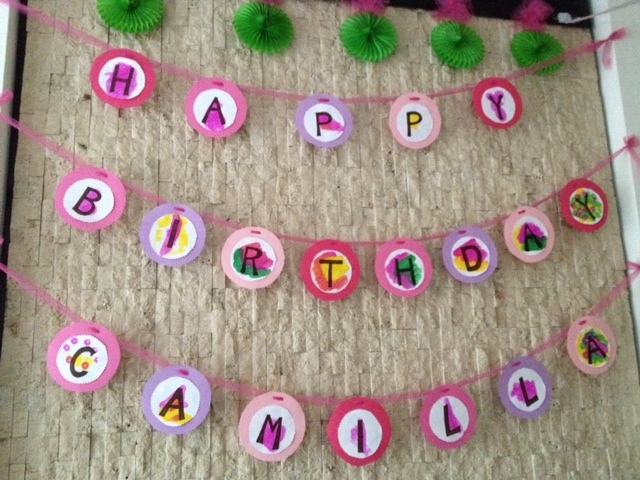 I drew the letters and then my daughter painted over them with those dot paints. I also created two giant 3’s to decorate the walls using poster board that I let her go to town on with water colors. They came out really well, but of course not one photo. Aaargh!!! I could maim myself, but that would hurt and then I’d have a hard time doodling and well….it would just be bad. So…I have been doing something with my nights, just not doodling. Hoping to have something up by the end of this week. We shall see. Thanks for sticking with me though. I do appreciate it.